Ah, the Central Limit Theorem. The basis of much of statistical inference and how we get those 95% confidence intervals. It’s just so beautiful! 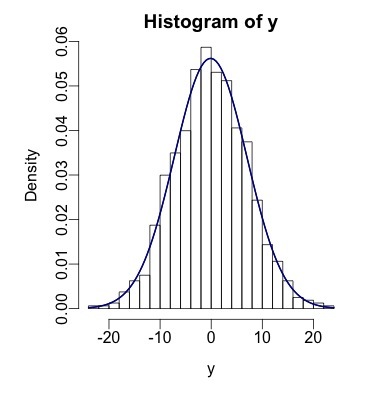 Lately, I have found myself looking up the normal distribution functions in R. They can be difficult to keep straight, so this post will give a succinct overview and show you how they can be useful in your data analysis. Note that for all functions, leaving out the mean and standard deviation would result in default values of mean=0 and sd=1, a standard normal distribution. In the first line, we are calculating the area to the left of 1.96, while in the second line we are calculating the area to the right of 1.96. With these functions, I can do some fun plotting. I create a sequence of values from -4 to 4, and then calculate both the standard normal PDF and the CDF of each of those values. I also generate 1000 random draws from the standard normal distribution. I then plot these next to each other. Whenever you use probability functions, you should, as a habit, remember to set the seed. Setting the seed means locking in the sequence of “random” (they are pseudorandom) numbers that R gives you, so you can reproduce your work later on. Now, when we have our actual data, we can do a visual check of the normality of our outcome variable, which, if we assume a linear relationship with normally distributed errors, should also be normal. Let’s make up some data, where I add noise by using rnorm() – here I’m generating the same amount of random numbers as is the length of the xseq vector, with a mean of 0 and a standard deviation of 5.5.